You don't have to be an adult or even a teenager to have a boy band. A group of five-year-old boys prove that in this video. While singing and dancing to One Direction's hit "What Makes You Beautiful," these boys have style and cuteness written all over. They probably have all the ladies in Kindergarten after them too. 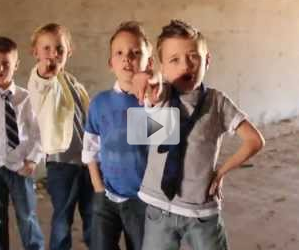 Take a minute and watch these boys move and groove in this video.